In the late 1960s noted author and yacht designer Maurice Griffiths wrote: ‘There is nothing like sailing the boat you have constructed with your own hands, whose every timber, screw, bolt and fastening you know intimately.’ Take a look at the pages of any early copy of PBO and you’ll find it filled with adverts for kits for home building. But times have changed. 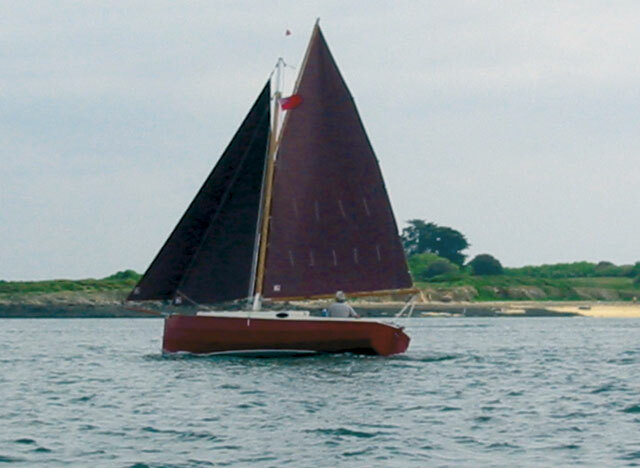 The advent of relatively cheap, mass-produced boats, the increased size of the average yacht and, to a lesser extent, the limitations of the EU’s Recreational Craft Directive, which states that if you build a kit boat you cannot sell it on for five years, have slowed the home building flood to a mere trickle. 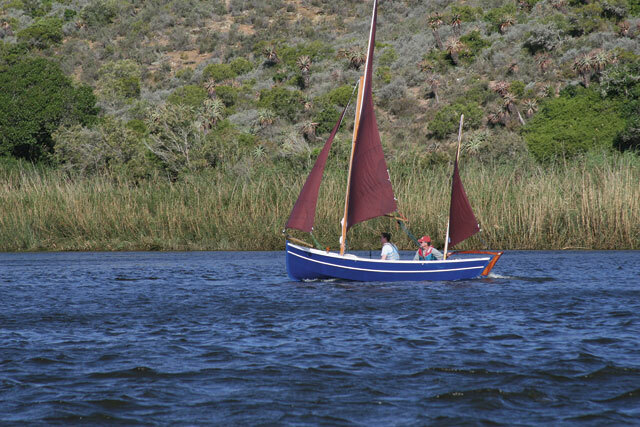 But building a boat you can truly call your own still can’t be beaten – and there are plenty of ways of going about it. But why bother when it’s easier to buy a boat ready made? 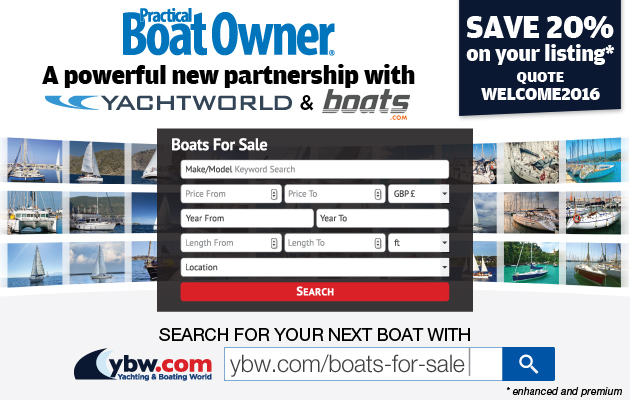 Well, for a start, it’ll save you money – and you’ll end up with a boat that’s worth far more than the kit that it came from. Then there’s the feeling of satisfaction you’ll get from sailing a boat you’ve built yourself. 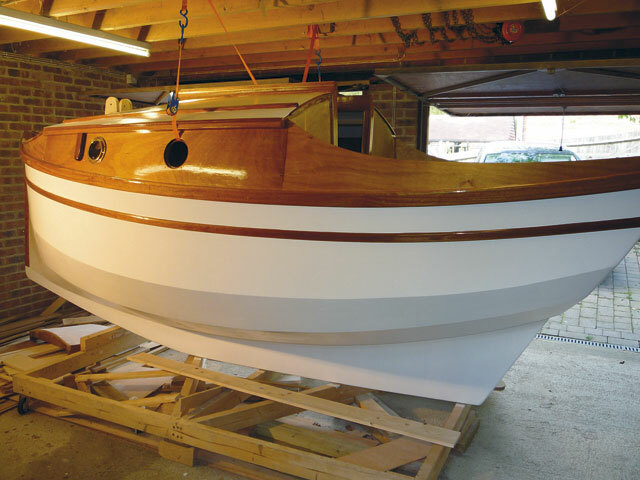 If you’ve been involved in the process from start to finish, you’ll have a boat tailored perfectly to your needs. You skills and spare time will influence how long a project takes to complete. On balance, it’s fair to expect to finish a small pocket cruiser within 1-2 years, working on it part time. Two owners we spoke to provide a useful contrast, taking six months and nearly six years respectively – but it all depends on time pressures and the amount of modifications and custom-building that you put in. The biggest limitation to building any boat is space. It may sound obvious, but there’s many a story of a proud amateur boatbuilder realising with dismay that he’ll have to remove large bits of masonry from his house if his shiny new boat is ever going to see the water. A garage, barn or lock-up is best for the UK’s inclement weather, and will ensure the best possible conditions for your build. If you can’t manage that, a large tent will suffice. It depends on the boat you choose. Most kit boats we’ll look at use the ‘stitch and glue’ technique, where plywood panels are held together by temporary ‘stitches’, or ties, while they are glued and glassfibred together. Phil Smith of Fyne Boat Kits says: ‘If someone can follow instructions and read a manual and have the time and inclination to study a set of plans then they should consider a build.’ If you’re in doubt, it’s a good idea to build a small dinghy first, to get an idea of the skills required. 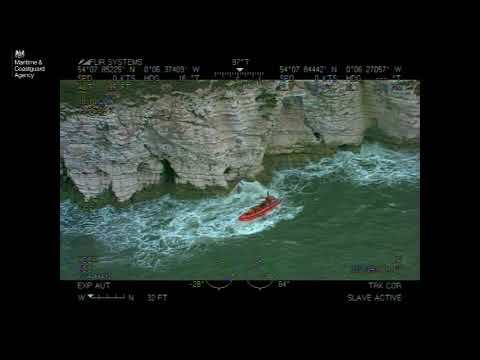 You can even use the small boat as a tender to your larger boat. Some companies will create a kit for you from a set of plans. Selway Fisher and Iain Oughtred have a number of designs listed on their websites from which Jordan Boats will build a kit. Fyne Boat Kits sell a number of their own and others’ designs in kit form, and Whisper Boats sell a range of kits designed and built in Australia – and the kits include everything from hardwood trim to screws. Alternatively, you can buy a bare GRP hull moulding from a company like Lauren Marine of Southampton, which has recently started selling the hulls of Hunter Boats for home completion. pre-cut. They are already tooled up to produce the kits for a number of Iain Oughtred, Selway Fisher and Dudley Dix rowing boats, dayboats and small cruisers, as well as a variety of craft from the pens of other designers. We asked three customers about their chosen boats. 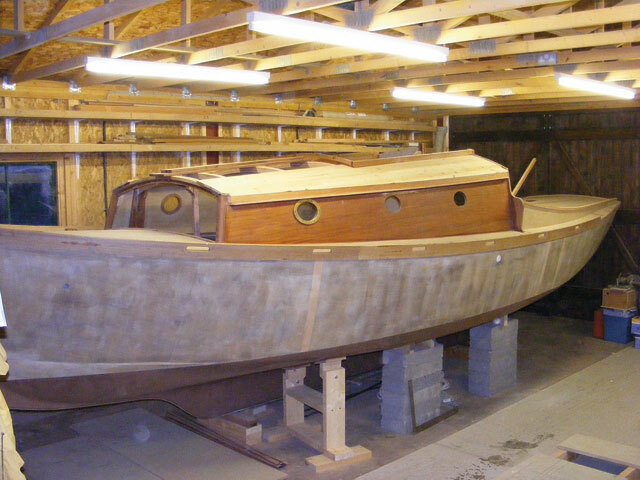 Gordon started building his 18ft (5.48m) clinker-planked, gunter-rigged Wee Seal a year ago. Price: £2,685. Kit includes all plywood parts and MDF moulds. Total cost will be around five times this price, for additional timber, glues, paint, fixings and rope. Graphic designer Graham Young started building his Selway-Fisher Tideway 14 pocket cruiser three-and-a-half years ago. Graham was disappointed he could find no DVD guides to building boats – so took some time off from his build to film one with Alec Jordan of Jordan Boats (see panel, page 51). Graham has just finished painting the hull and is now moving onto the rudder and rig. Working from a kit also helps. ‘Having all the pieces pre-cut gave me a great kickstart,’ he says. Price: £1,768. Kit includes all plywood parts for the boat. Total cost will be around five times this price, for all the additional timber, glues, paint, fixings, sails and rope. 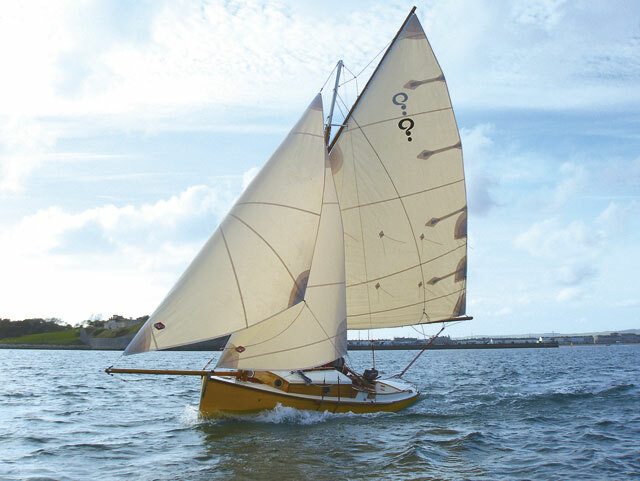 The Cape Henry 21 was developed from the well-known and successful GRP-built Cape Cutter 19. With a similar look to the Cornish Crabber, it was designed by South African designer Dudley Dix. Gary Wallis liked the look of the Cape Cutter and had built aeroplanes before he started his Cape Henry, which he built in just under a year. Jordan Boats are also ready to tool up the plans for two more Dix designs, the Mini Didi, a Mini Transat racer, and the Dix 28, a sporty cruiser-racer. Price: £2,536. Kit includes all plywood parts. Total cost will be around five times this price, for additional timber, glues, paint, fixings and rope. If you ever built one of those wooden dinosaur skeletons as a child, you’ll know exactly how these clever kits go together. The frames, bulkheads, shelves and seats are connected to the keel and to each other by a series of precision pre-cut slots and tabs which interlock to form a rigid skeleton on a ready-made, lead-filled keel. Whisper’s kits are made by Scruffie boats in Australia, and according to Max Campbell, the UK importer, are unique. ‘We include everything down to the last bit of hardwood trim and laminated frame,’ he told PBO. ‘It’s the provision of these machined or laminated parts that makes the difference between a real kit and just having plywood sheets cut to suit plans.’ Whisper reckon it should take only three months working full-time on the build. The 20ft (6.09m) Secret, described as halfway between an Essex Smack and a Sydney Harbour 18 footer, is Whisper’s most popular model. It only took a couple of weeks’ work to realise that the kit had taken most of the worry out of the build process, while leaving the satisfying building, and it still gave them plenty of scope for customisation. ‘From the first day there was no doubt that we were going to end up with a good, strong boat, and every day in the boat shed added significantly to what we’d done before. ‘The only woodwork I’d done before was building a model plane, and the process here was remarkably similar. Epoxy makes the whole process very forgiving – joints don’t lose either their strength or aesthetics if cut less than perfectly. 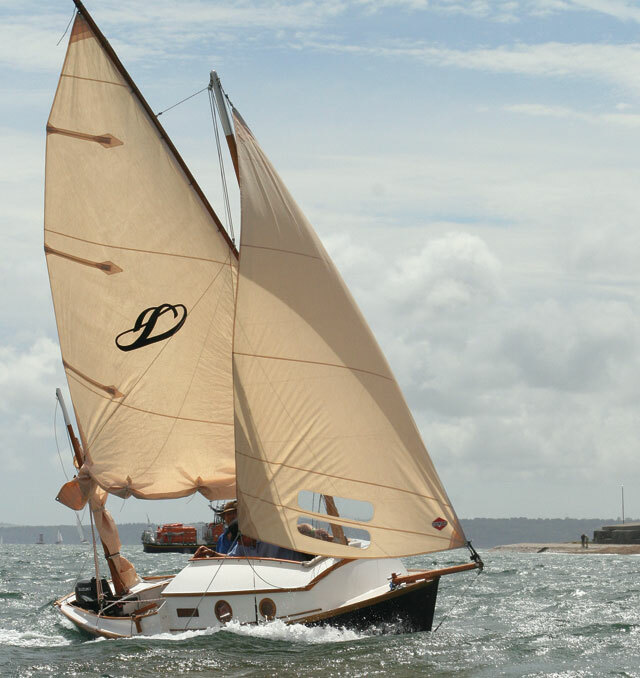 John Arter has been building his 24ft (7.31m) Scintilla gaffer in evenings and at weekends for five years. ‘The great thing about the kit is that it gives you a basic boat which you can personalise as much or as little as you like – I’ve put a lot of work in!’ he says. Long-established Cumbrian company Fyne Boat Kits’ newest design is for the Pocket Ship, a 14ft 10in (4.52m) gaff-rigged cruiser with two berths down below and seated headroom. The kit includes all panels, and the holes for the ties are already cut. ‘She’s a fast-sailing pocket cruiser with a dry and commodious interior. It had to be quick and easy to build or the project would never get finished, so stitch-and-glue plywood construction was a given from the start. The panels are supplied ready-cut and with all ‘tie’ holes pre-drilled. The cockpit was laid out for day-sailing comfort and is large enough for sleeping on warm nights,’ explains Phil Smith. Swallow Boats make a few small cuddy/cabin cruisers, such as the BayRaider (PBO February 2009), and will be releasing a kit version of the BayCruiser shortly. At present only their smaller models up to 17ft (5.18m) are available in kit form – and the Storm 17 open dayboat has found a loyal following. Ray Anderson got a kit shipped to South Africa. 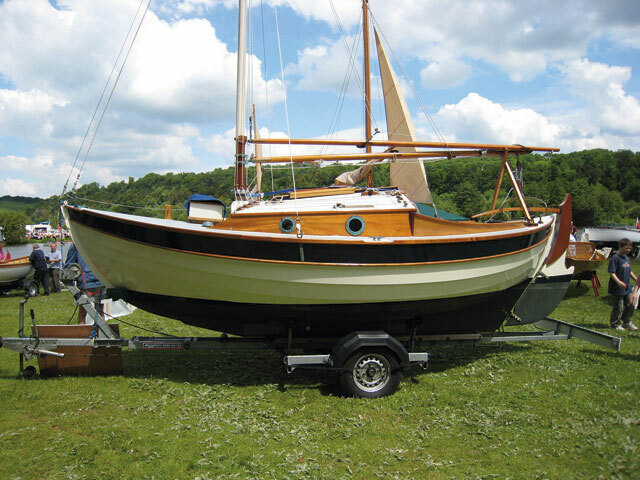 ‘When the idea to build a sailing boat got into my head I searched the internet for a suitable ‘old world’ type boat and eventually came across Swallow Boats,’ he says. ‘I fell in love with the looks of the Storm 17 and that was that. A lot of designs are all too much traditional building and I was put off. I wanted something that I could imagine building in a year or so. The Storm 17 has a low parts count and you have a lovely shape in a few weeks – you can pretend it’s almost finished! 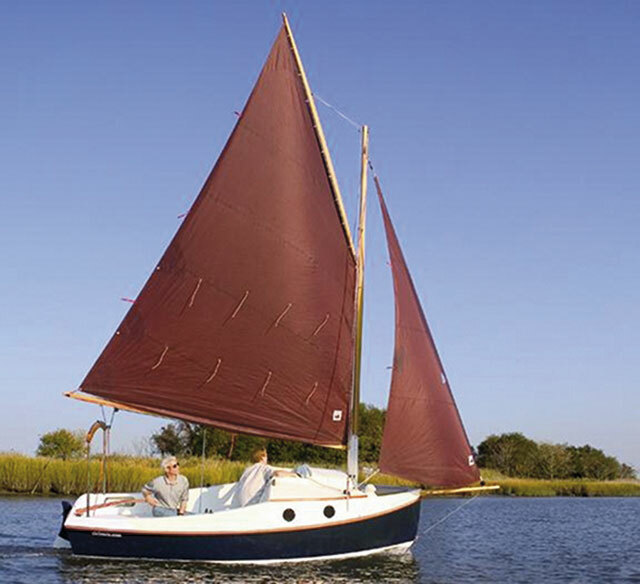 Price: £4,128 – everything included except paint and oars. 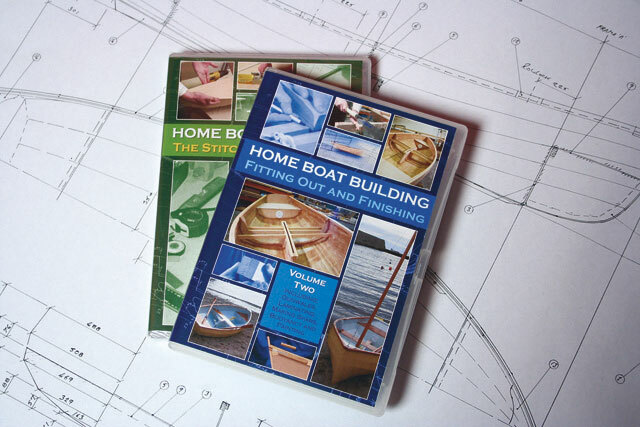 The Home Boat Building DVDs from Jordan Boats take you through all the skills and principles you’ll need to tackle building your own boat, from conception to launch. Volume one explains the stitch and tape method while volume two covers fitting out and finishing. Each costs £19.95, or buy them both for £29.95. This feature was originally published in PBO in 2009.